This may well turn into a bit of rant, but that’s OK….why? Well that would just mean that it’s turning back into what it started as…which was a rant, but in true education style I have paused on my rant and reflected…and now I’m back to ranting. So, one of your colleagues tells you about a lady in her 30s turns up to the ED with a really high BP. Really high, like >250 systolic. In Virchester the first, second, third and if it’s after 7pm or the weekend the fourth question is ‘what have they taken’, but on this occasion the answer really does seem to be nothing. Hmmm, so we are really looking for endogenous causes of a really high BP, (but secretly wondering whether to ask the drugs question again later). Key to future decisions about this will be an assessment of the end organ damage associated with a really high BP. So where shall we look? Well the eyes of course as they are the window to the cardiovascular system, the fundus is the one place in the body where we can actually see the vasculature in detail, and it’s an essential component of the exam for hypertension. So, you send a succession of docs off to have a look at the fundi and the answer comes back that they are normal. Really? Well I must alter my thoughts then! A normal exam in the presence of hypertension at this level would seriously question the diagnosis and we are back to thinking about ultra-acute conditions such as drug ingestion. Except we are not. The patient has gross retinal changes with flame haemorrhages all over the retina, they’ve just been missed. This is important as we now have clear evidence of end organ damage and this now seems very unlikely to be something that’s going to go away on it’s own and we need to intervene now, but why was this important finding missed? Time for a bit of team reflection here and the results were surprising. Many docs just don’t use direct ophthalmoscopy as a skill in the ED much anymore and if they do then the sole question seems to be ‘does this patient have papilloedema?’ The richness of data available in other parts of the retina seems to have been lost in the mists of time and undergraduate OSCEs, and I’m not entirely sure that we are that good at picking up papilloedema to be honest. 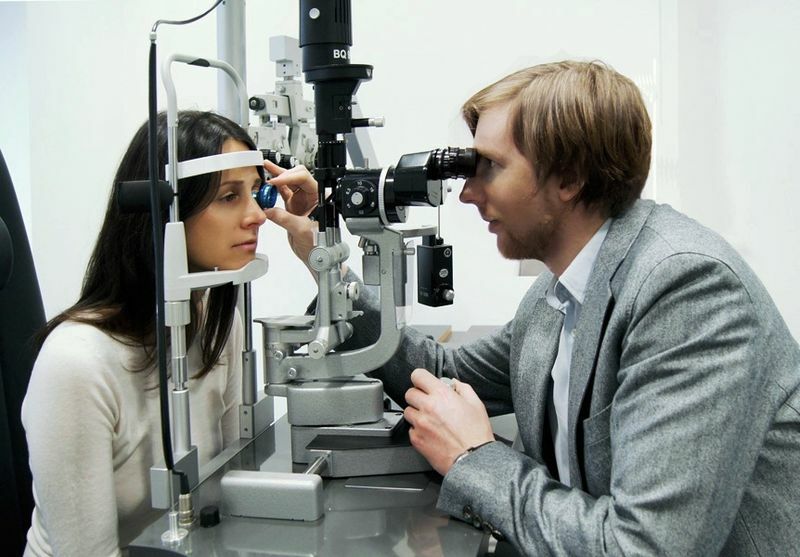 So, you go and observe your colleagues examining the eye and it’s really interesting. Wrong hand, wrong eye, wrong position, etc. and you enquire…how often do you do this, and the answer is virtually never. It seems to be a skill that is no longer practiced in hospital based clinical medicine. I can’t speak about primary care but it does seem that a significant number of primary care docs refer patients to Optometrists for an opinion, so my impression is that this is probably not just a hospital issue. So what can we do? Well there are options of course. We can teach and practice (Ed – love it), and we can belittle our colleagues who cannot do it (Ed – not so sure now), or we can perhaps look to make it easier. 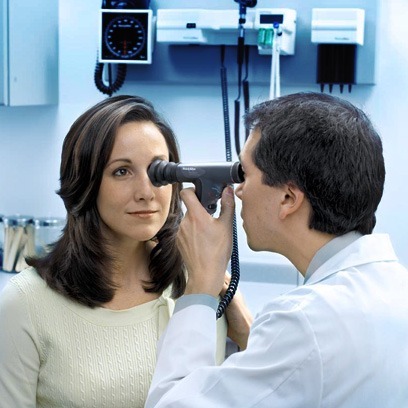 Mrs C, also a doc, is in her own words hopeless with a direct Ophthalmoscope and wonders how we manage to see anything at all, but that’s because she is an Ophthalmologist and would not dream of using one preferring the use of a x78 lens with a slit lamp or an x20 lens with an indirect. These give you binocular images which makes picking up all the other things we might be interested in (retinal tear/bleed/detachment) SO much easier! There are potential solutions out there of course. A paper in the EMJ looked at the use of the pan-Ophthalmoscope (see pic) and it showed some benefit in a small study, but I’d love to hear from others who are actually using it. The other alternative is that we could just abandon the time and effort required to effectively perform this relatively simple technique in favour of learning how to use a something more exciting and thrilling like a new chest drain, cric set or thoracotomy saw, but I’m not so sure. All these things are important and it’s unfair to make a comparison, but I would like to raise a little cheer for the basics of clinical examination. As EPs, like family physicians we rely on our basic clinical skills and acumen. We should do our best to retain and teach them. Previous: Previous post: JC All I want for CRYSTMAS in ITU land…, are some more potatoes, and a drink! I couldn’t agree more with Prof C’s comments regarding ophthalmoscopy and OSCEs. It seems that to pass a station in this all a student needs to do is follow the process without actually needing to see anything and as long as they can say the right thing and know their left eye from their right (which can be an issue I admit) then they will probably pass the station (this said at a resent OSCE 3 out of 16 students were unable to turn on the ophthalmoscope let alone perform an examination). I’m ok with picking up papilloedema (I think) but seein the rest of the retina is a struggle. Am yet to use a pan optic but there is the top bit of one lying around our ED. Second prob is that the cubicles with scopes on the walls all have admitted pts in them. I see new patients in the corridor with no scopes near them! True enough re papilloedema Andy, although I don’t think it is sensitive enough to be of use in most patients. I would use mine more if if someone had not stolen the the head of my own unit! I examined an OSCE for 5th year students – they have to read words off a mock retina. 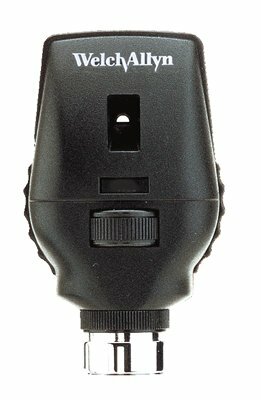 The ones that used the Panoptic got it in 3 seconds, those that tried the older ophthalmoscope – struggled, missed and guessed. Panoptic does make it easier – even for total novice users. The use of US for specific indications – retinal detachment, intraocular FB, retinal art. occlusion, vitreal haemorrhage. This is where we have a much better option than the traditional opthlmoscope. Even blind Freddy could use US in these scenarios. Papiloedema – we might be able to pick it with ONSD – but the evidence is still coming I think.